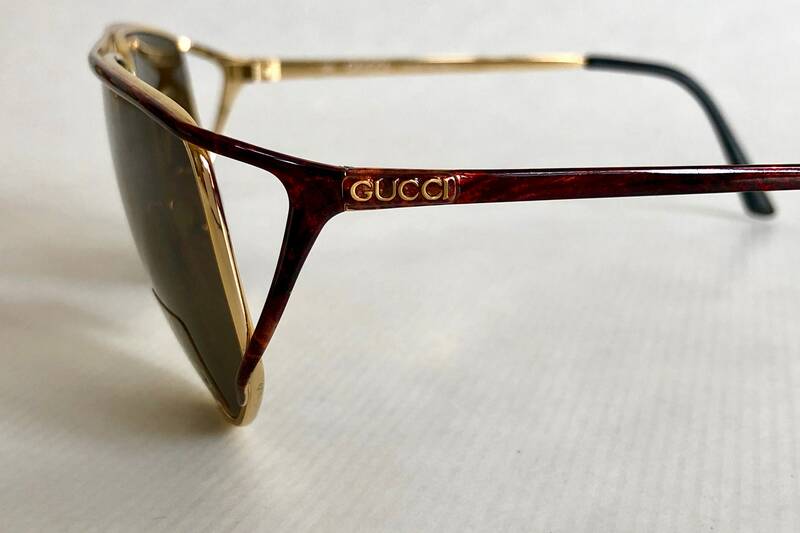 Frame and lenses are in perfect new unworn deadstock condition. 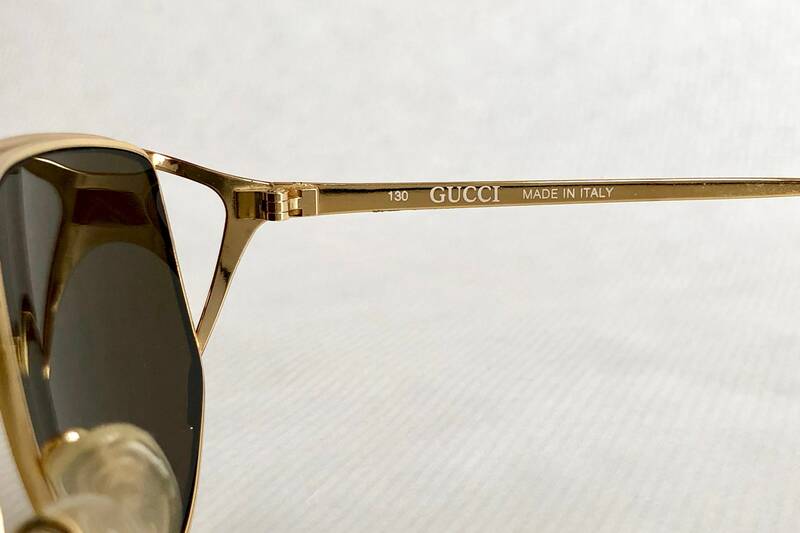 Removable sticker on the lens. 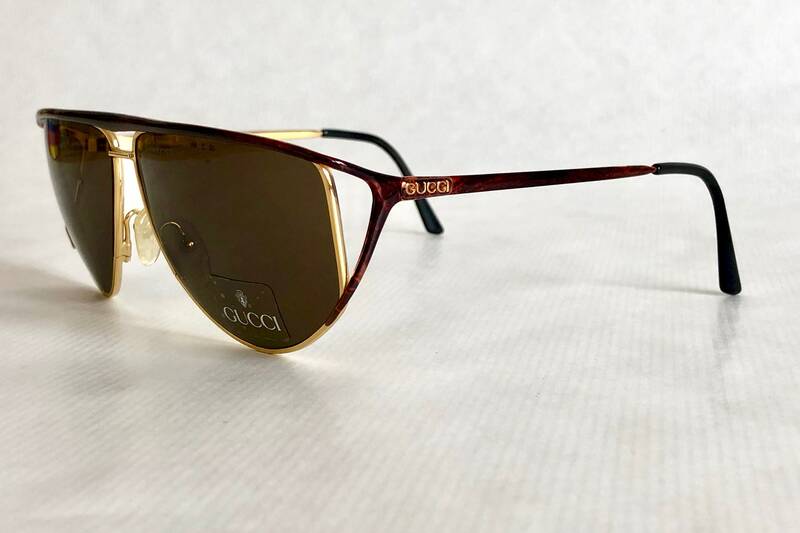 The GG 2233 S is an extremely elegant and bossy frame, perfectly complemented by the organic curves on the temples, the muscular browbar and the dark brown lenses. 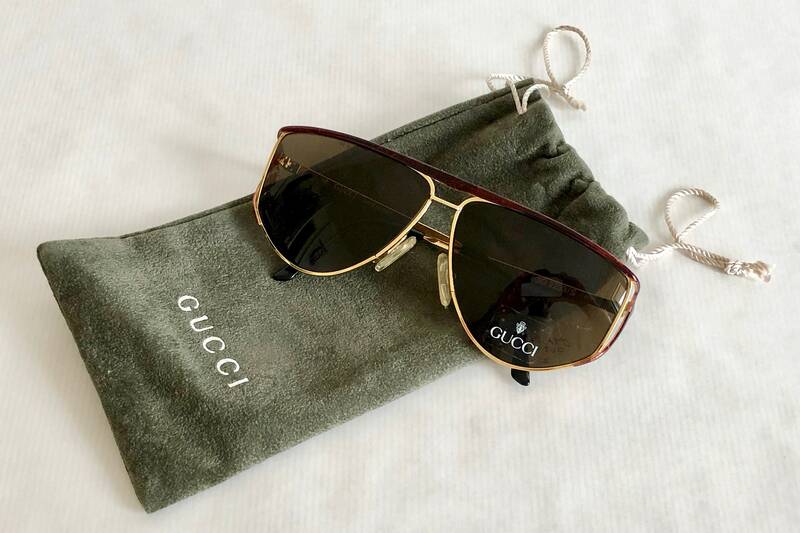 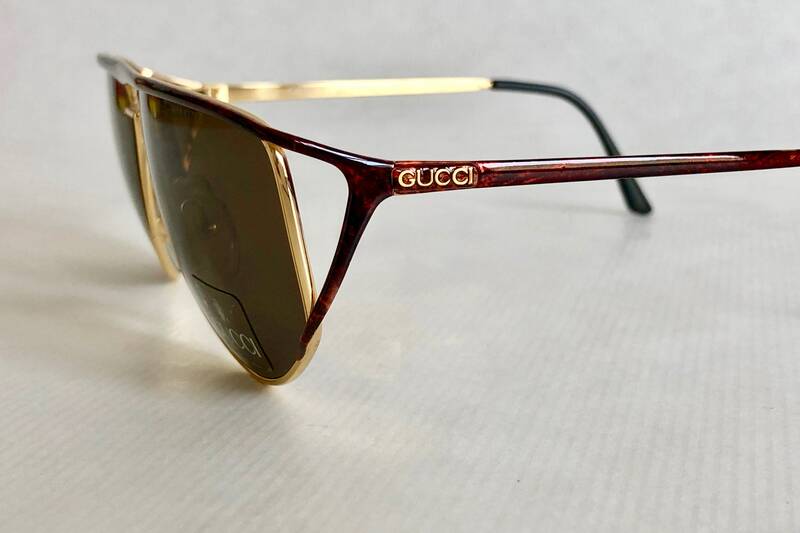 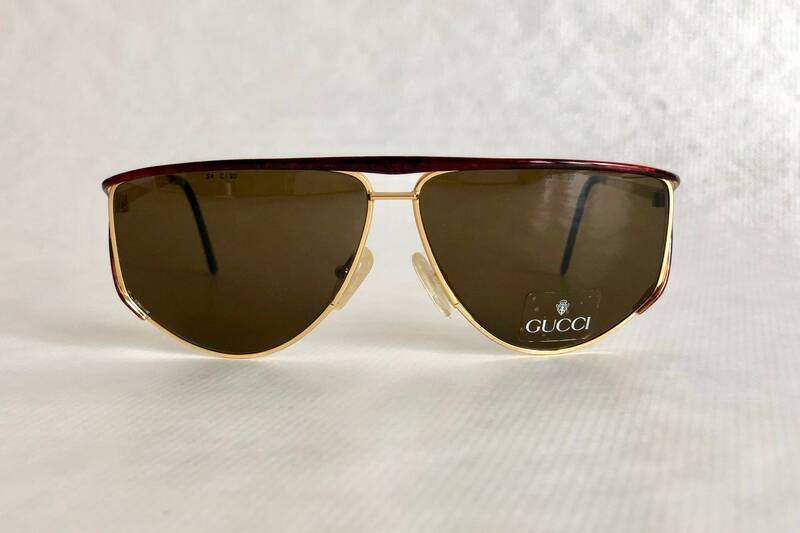 GUCCI logos on temples, removable stickers on lenses. 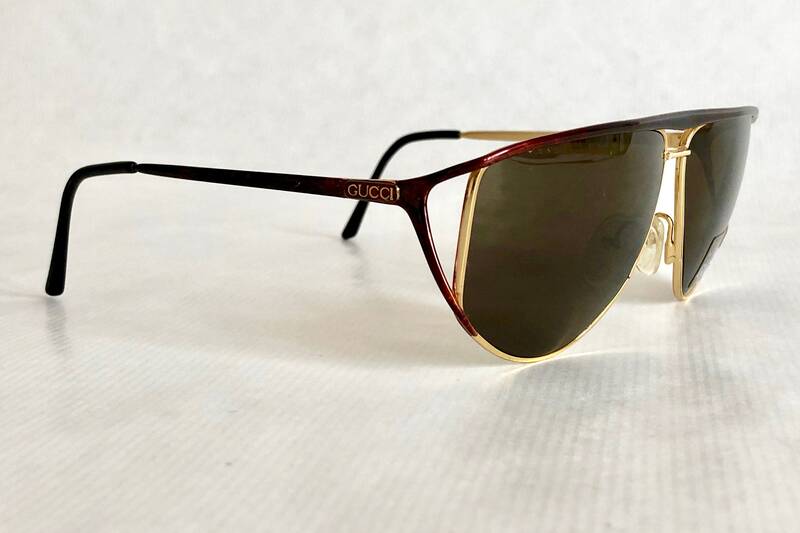 Frame: Gold with dark tortoise decor. 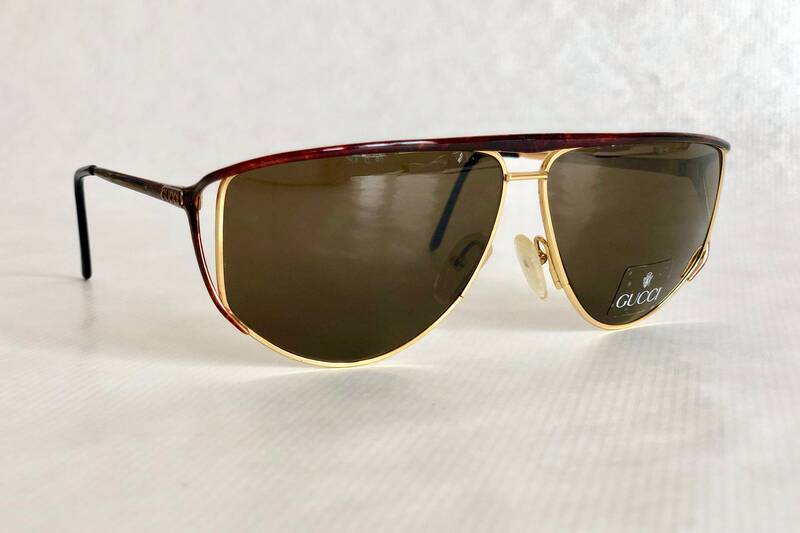 lenses: Original Safilo C 90 with maximum UV protection.